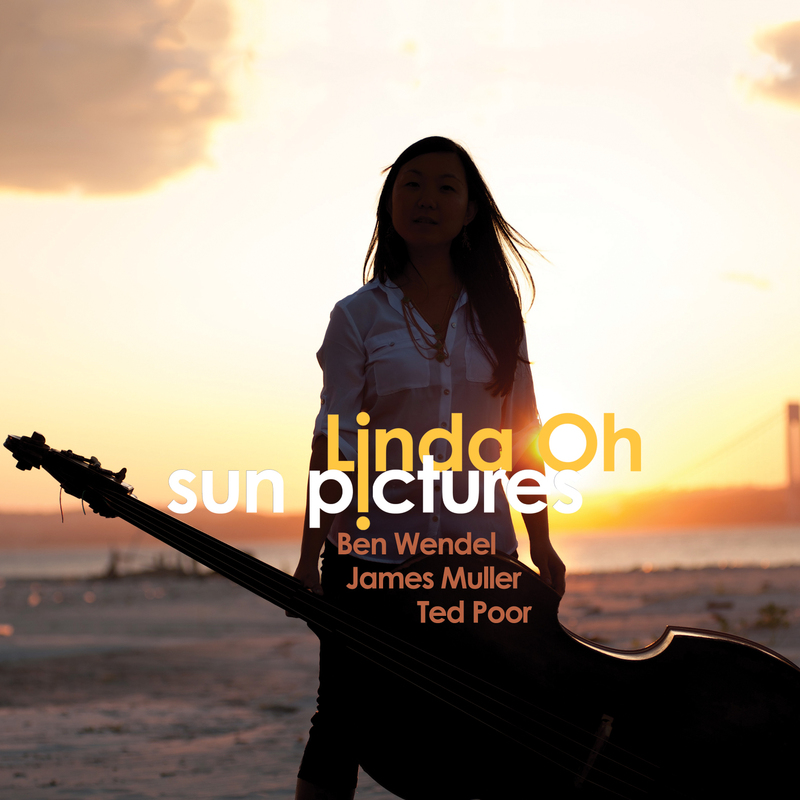 From the first time I heard her cosy marriage of sound, groove and ideas it was plain that Linda Oh was a force. More than that she was one of our strongest jazz exports from among the many who have made the pilgrimage to New York and stayed – as our politicians like to say about our Afghanistan involvement – the course. The New Yorkers picked up on her gifts, too. Oh is the bassist in Dave Douglas’s current quintet and in Sound Prints, another quintet that Douglas co-leads with Joe Lovano. These are weighty endorsements in a city crawling with play-anything double bassists. Oh’s first album, Entry, revealed her as a composer worth following, too; an impression reinforced by the follow-up Initial Here opus, which had her melding LaFaro-like melodic flair with Mingus-like propulsive force on the bass. So the new album was eagerly awaited, and proves as different again as the first was from the second. You can tell that Oh is abuzz with ideas. The diversity of her compositions and her eagerness to work with different players on each disc shouts as much, as does the opening ‘Shutterspeed Dreams’ here, which acts as a kind of overture, being an Oh-created remix drawn from all the recordings for the session. It’s slightly spooky, and sets you up for assorted deja-vu moments throughout the rest of the album. This followed by the slyly-titled ‘Polyphonic HMI’, which refers to the new technology attempting to predict whether a given song will be a hit. God spare us. Oh dumps on that idea with a piece of music of greater ingenuity than most that will ever sell a million copies. It plays with meter, and draws a bubbling stream of gentle melodic ideas from guitarist James Muller and tenor saxophonist Ben Wendel (of Kneebody). It has a charmingly elfin spirit, with Oh and drummer Ted Poor sauntering along, while the soloists hurtle with greater velocity, but without quite taking off. ‘Footfall’ is dreamier: a dream that is illuminated by Muller’s flaring ideas. The rhythm section is again subdued, and Wendel snakes around in a melodic labyrinth that never truly finds its destination. ‘Blue Over Gold’ opens with a taut little ostinato and brief bass solo. The tension builds with a Steve Reich-like repetitive figure, but is released too soon into a Wendel solo that only really comes alive in its dying notes. Muller’s foray is of more interest. With his eccentric turn of phrase and jolting punctuation he would have made an intriguing prose writer had he not become such a remarkable guitarist. Oh’s quirky rhythmic sense underpins ‘Yoda’, over which Wendel and Muller enjoy a spiralling dialogue. The bass finally features on the pensive ‘Terminal 3’, and it was worth the wait, Oh enchanting with her filigree melodic details. This prompts Wendel to lighten his sound a little and produce a solo that dances and twists like a feather in the wind, before Muller opens the window on his own brand of breezy lyricism. Being about a gallery rather than a pub ‘10 Minutes Till Closing’ is far from raucous, and sustains the prevailing mood, its main feature being another bass solo that offers the closest thing on the album to vulnerability. While Sun Pictures has grown on me over multiple listenings, I have some reservations. Wendel too often makes oddly detached contributions, and the recording quality does not help, with Oh’s beautiful bass playing overly submerged, and Poor’s deft drumming lacking some presence. Overall the compositions are not the bassist’s strongest batch, but this has not dimmed my fascination for her work.